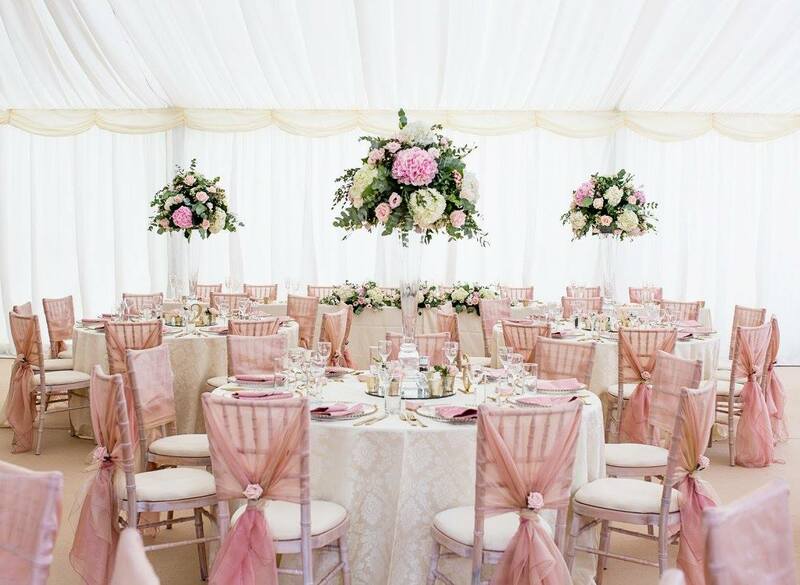 Your wedding marquee must be stunning, memorable and, of course, unique to you. This is your big day and we realise how important this element of your celebration is. So, to ensure that your marquee doesn’t blend in with all the other wedding marquees out there, we take the time to understand exactly what you are looking for, what ideas and pictures you have in your head and what themes you are considering that could impact on the style of the marquee you choose. Whether you choose a classic and elegant theme of white and ivory for your romantic wedding marquee, opt for a vintage look complete with sparkling crystal chandeliers and mismatched china for a marquee full of laid back glamour, want specially lit dance floors, trees and starlight effects which really come to life when daylight fades, the choice is really yours. We also understand the stress of planning and organising a wedding and hiring a wedding marquee and want to be here to help every step of the way. With Macey & Bond behind your wedding marquee hire you gain the peace of mind that our wedding marquee experts will take care of everything. Our specialist team are here to help at every stage, so you can relax and take marquee hire off your big wedding list. The level of our involvement during the preparations for your special day is also up to you. We can assist in the layout and design of the structure, provide CAD plans, suggest interiors, supply complimentary furnishings, offer advice, provide trained technicians throughout your event and even recommend trusted suppliers for other aspects of your wedding, should the need arise. Macey & Bond has vast experience in hiring large wedding marquees for a wide variety of faiths and religions, where it is not unusual for wedding guest numbers to exceed 500. In addition to your wedding marquee hire we also offer specialist caterers, interior designers and other trusted suppliers who not only understand different faiths but also have the capability and expertise and experience to ensure that your big day has that all important wow factor. We realise that, especially with larger weddings, it is important to deliver a high standard of finish, a stunning wedding marquee and an event that exceeds expectations whilst also maintaining affordable prices. So, however large your wedding guest list is, you can trust Macey & Bond to make your big day truly memorable. Please get in touch with us to discuss our large wedding marquee hire services for your special day.